(September 26, 2011) This week on Weibo Watch: rock desertification is turning a huge swath of southwest China barren; villagers in Guangdong fight illegal, environmentally damaging mining; citizens in Zhejiang, protesting an energy company’s carcinogenic pollution, face official denial and police detention; restaurants stop selling shark fin; and an NGO walks along the highly polluted Xiang River. 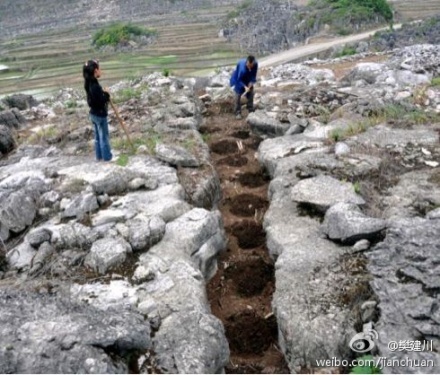 Farmers plant in the cracks between the rocks. 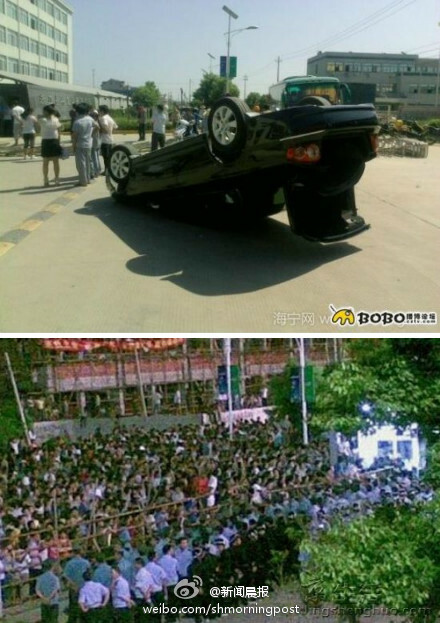 Villagers gather, and conflict breaks out in front of Jingke Energy Company. September 14 -18: Guangzhou Daily reported on September 14 that deposits of rare earths have been illegally mined in Chaozhou and Shantou regions in Guangdong province since 2008. Illegal miners burning wood and using ammonium sulfate caused serious environmental damage, which impacted local people’s lives. Government officials neglected their duties, or even engaged in the illegal mining themselves. Hundreds of angry villagers gathered on August 15, causing damage in several illegal mining sites. Read further information here. On the evening of September 15, in Zhejiang province, at least 500 villagers gathered in front of the Jingke Energy Company to protest the factory’s polluting discharges. Then a conflict broke out. Three days later, the Shanghai-based Morning Post newspaper said on its Weibo account @新闻晨报: “According to Zhejiang Online and Metro Express, villagers from Hongxiao village in Haining municipality report that pollution discharge from the Jingke Energy company has given 31 people cancer and 6 people leukemia. Two reporters from Zhejiang TV were beaten up by the company staff while doing an interview. A promise not to use shark fin. September 19: Though the total number is still small, more and more enterprises are being pushed to adopt corporate social responsibility. 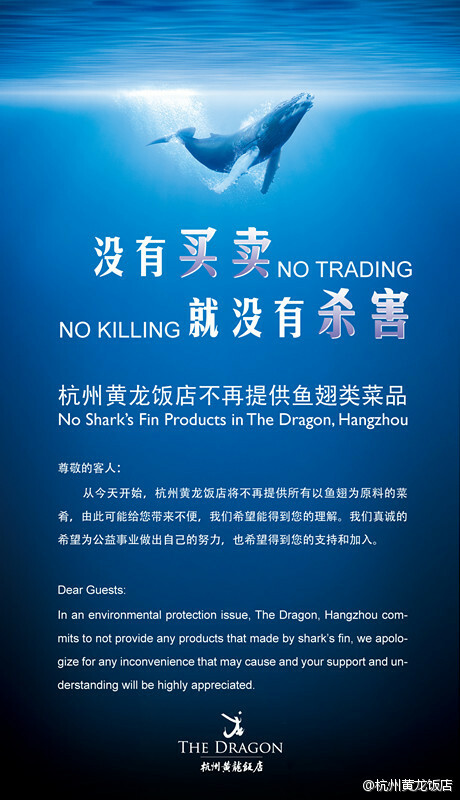 A restaurant in Hangzhou @杭州黄龙饭店 released a poster promising not to provide shark fin products any more. This action received 5582 re-posts and 1433 comments by September 21. The public praised the restaurant and encouraged other restaurants to participate in this movement. 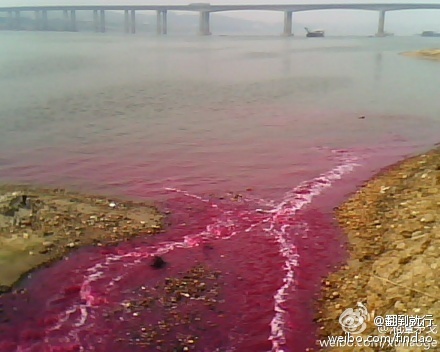 Xiangtan Color Chemical Ltd. Co. has turned this stretch of the Xiang pink, apparently by releasing colorant. Volunteers are monitoring the situation. 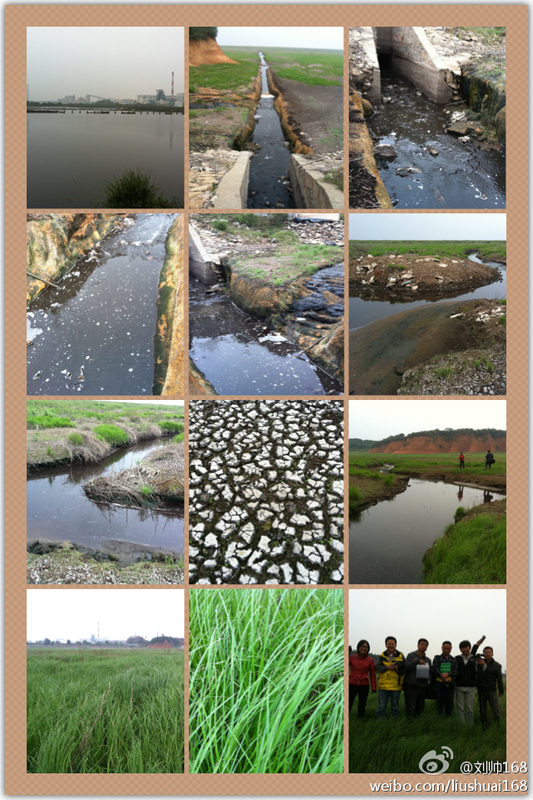 September 20: Since September 4, an investigation team organized by the NGO Green Hunan has conducted walks along the Xiang River. Their reports of what they found along the river are disturbing – poisons, chemical factories, polluted streams, a cancer-stricken village, wetlands suffering severe drought. See their media reports and a complete list of photos on their Weibo account @绿色潇湘. Here are some photos uploaded by the investigation team. 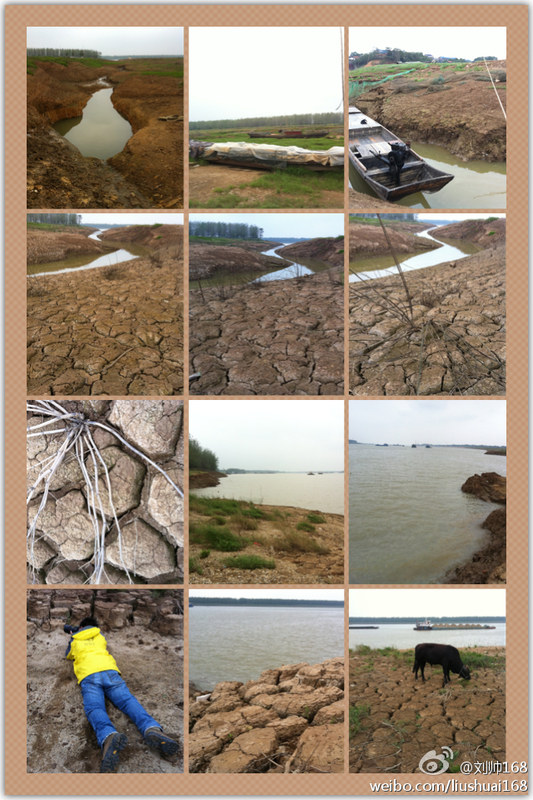 Photos taken along the Xiang River. More photos from the Xiang River.